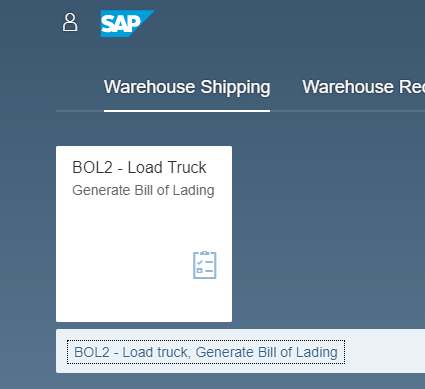 Processing a bill of lading from SAP has never been easier. 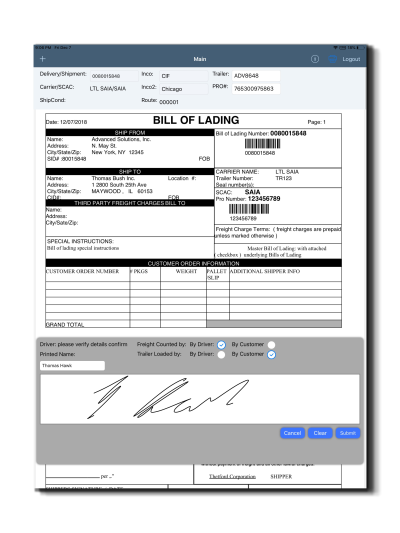 BOL2, our innovative iPad application, generates an SAP bill of lading and prepares it for validation. It then captures the driver’s signature and archives a digital copy for easy retrieval. Eliminate filing, copying and managing printed bill of ladings. 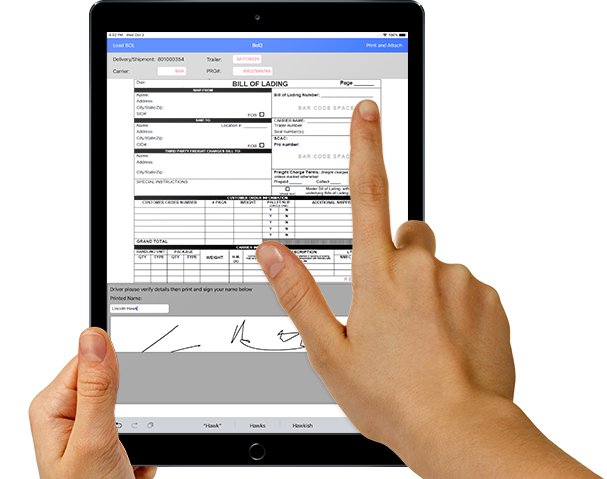 Tablet-based signature capture and digitization. Generate a standard SAP output. Update shipping details for delivery, shipments and transportation units (EWM). Trigger a post goods issue after update. 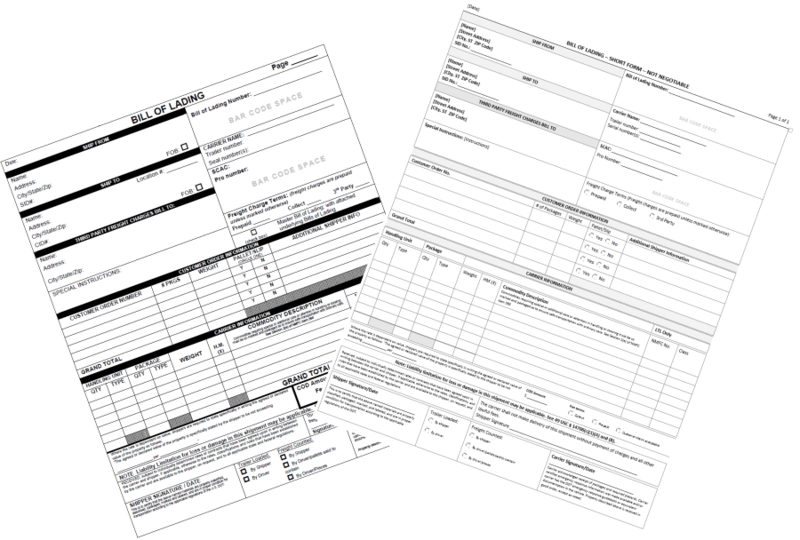 A standardized format included with BOL² eliminates the need for custom development costs to develop your own inhouse form. If they exist BOL² can use your existing format. "Until now, we kept paper copies in the shipping office. I don't think we could have found a copy of a BOL if we needed it. Having it all in SAP makes it easier to access and saves us time and money." 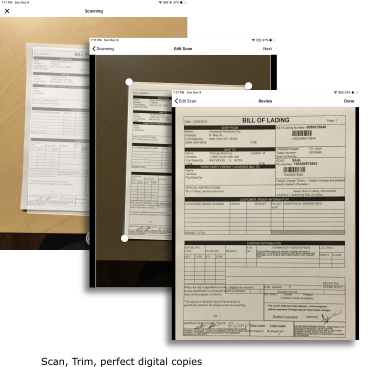 Capture and crop hard copies of bill of ladings and convert them to perfect digital copies to add to your SAP documents. Works with all versions of SAP ECC , S/4 HANA and SAP Cloud. 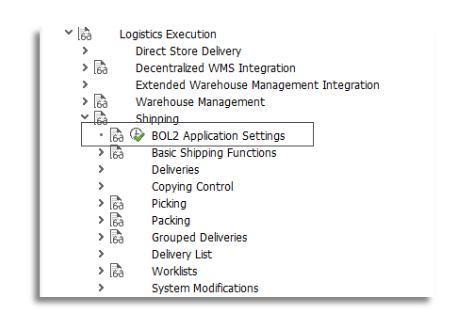 BOL2 includes our intelligent Bill of lading form to use with within SAP ECC. Stop custom developing your forms, our standard forms are regularly updated as regulations change so you dont have to. 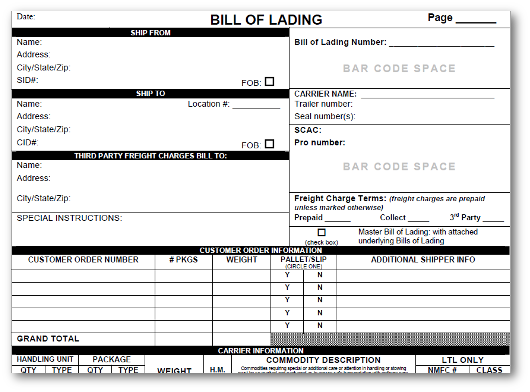 "Five minutes after the truck leaves, the head office has a copy of the signed bill of lading. This saves a lot of paper handling."